Keep your home free of rodents and pests with the Pest Offense Electronic Pest Repeller. Built with a microprocessor, this electronic pest control creates a force field in your home by sending electronic pulses through the wire. It randomly creates digital sequences that help prevent pests from settling in your home. This patented technology keeps pests and rodents from nesting and feeding within the walls of your home. It allows you to protect your home from unwanted pests without using spray, traps or pellets that contain hazardous chemicals that can harm you, your plants and your animals. Simply plug the device into a socket. This chemical-free electronic repellent also includes a surge protector and indicator light. 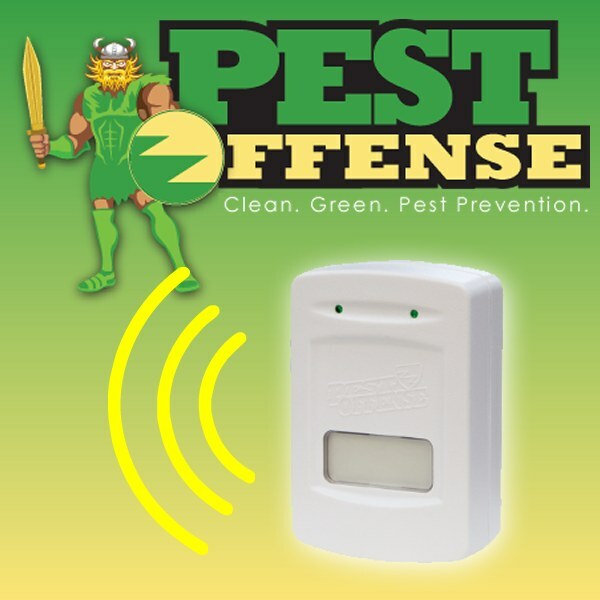 Guard your dorm room, apartment or house with the Pest Offense Electronic Pest Repeller.